Greetings all. 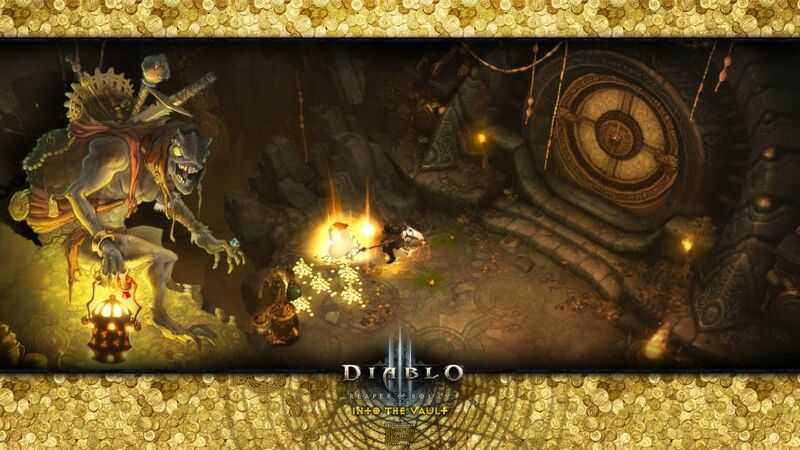 This weeks wallpaper was made to commemorate the latest major content patch for Diablo III: Reaper of Souls. Patch 2.1.0. And what a better way than to have the ol treasure gobby they shared with us in the preview art and a wallpaper that glitters.